A man suspected in a deadly double shooting at an Escondido bar has been identified as the older brother of one of the shooting victims, police said Tuesday. Antonio Martinez, 35, died from wounds suffered when a gunman opened fire at Pounders Bar around 1 a.m. Saturday. The suspected shooter has been identified as Manuel Eliseo Martinez, 32, a documented gang member and the victim's younger brother. The incident began when Manuel and Antonio Martinez sped off in a car from the bar, skidding along the way. A bar patron yelled at the pair and the Martinezes came back to confront the man, according to police. Manuel Martinez pulled a gun on the bar-goer and another person intervened. That's when Manuel Martinez fired two rounds; one struck Antonio Martinez and the other that stuck the person who intervened in the confrontation. The man who intervened was injured but is expected to survive. He had no relationship to the brothers and was not involved in any gang activity, police said. Manuel Martinez was taken into custody after a brief foot chase around 1 a.m. Saturday and was booked into the Vista Jail on murder charges, among several others. His brother was taken to Palomar Medical Center where he died from his wounds, police said. Manuel Martinez was a wanted suspect in three other violent crimes committed in Escondido since 2017, police said. 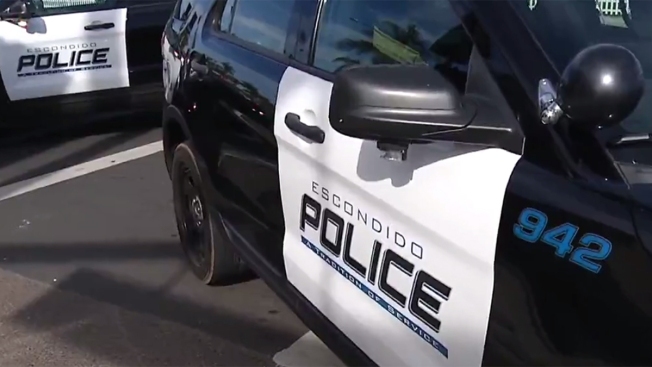 He has been deported from the United States six times, and Escondido police and ICE have been actively searching for him. Escondido police continue to investigate the shooting.